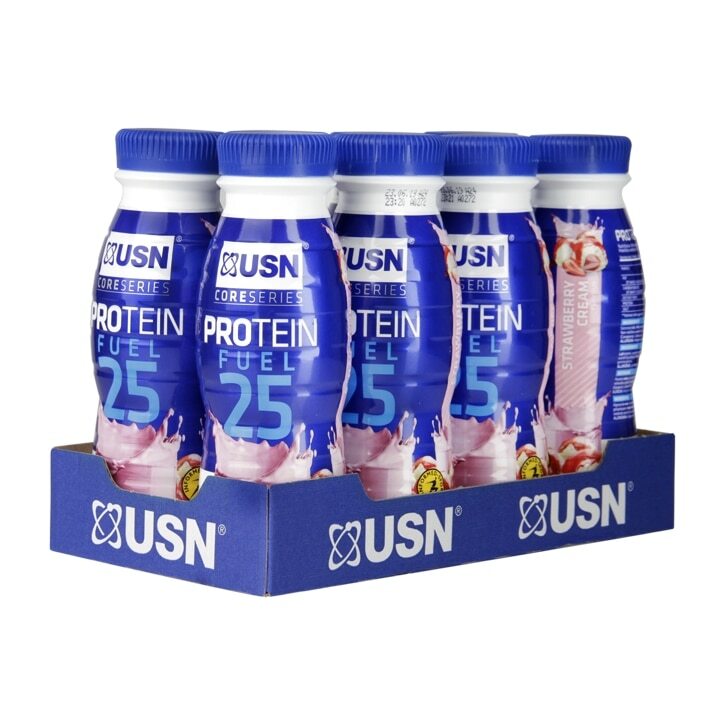 USN Pure Protein Fuel RTD Strawberry is a high protein, reduced carbohydrate, low fat drink. A delicious milk-based protein shake, ideal for during or after your workout. Skimmed milk, Milk protein (Milk protein concentrate & Hydrolyzed milk protein), Water, Flavourrant, Non-nutritive sweetener: Sucralose, Colourant: E120, Stabilizer: Carrageenan.